The Longines Conquest Heritage is a modern reinterpretation of the original Longines Conquest collection, first introduced in the 1950s. Wearing it this week, I quickly took to the new version's bigger, 40mm case size (the original came in at 35mm). I also appreciated that the company chose to keep its vintage styling, to the point that without the larger case it would be hard to tell the vintage apart from the updated version. The crown might be slightly larger, too, but the lugs, bezel, dial markers, hands, and even the date window placement are true to the original design. 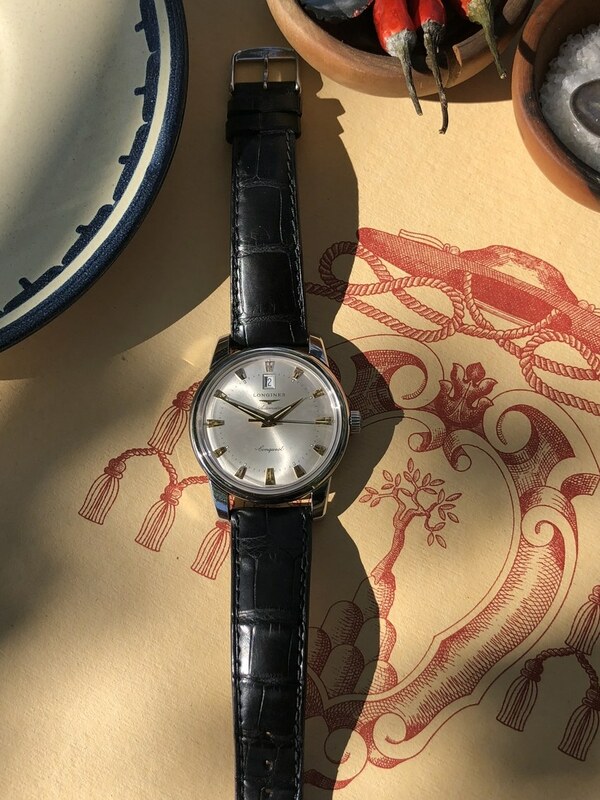 It felt fitting, then, to wear the watch to another iconic restoration: the Osteria restaurant at Umbria's Castello di Reschio, where I stopped to have a lazy lunch. Reschio is an ancient estate dating back to the 11th century, and one that has continued to be updated by its owners over the last 25 years. Looking out over the vast landscape and the rolling hills in the golden light, I completely lost track of time—a glass of local Rosato might have contributed—but a quick glance down at the Longines Conquest told me how many hours had just passed.